Rhode Island School of Design - ISB — Ed Wojcik Architect Ltd.
Rhode Island School of Design’s Illustration Studies Building is home to one of RISD’s largest undergraduate departments. 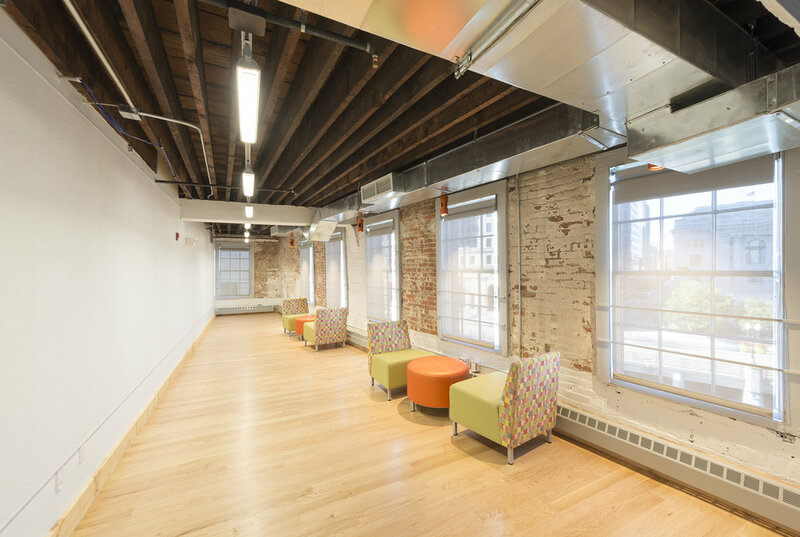 This project was phased over a period of three summers, with the help of Shawmut Design and Construction, to eliminate disruption to the use of the building during the academic school year. Phase 1 was a 5,600 sf, five-story addition to the east elevation, including a new elevator, egress stair, conference room, and restrooms. 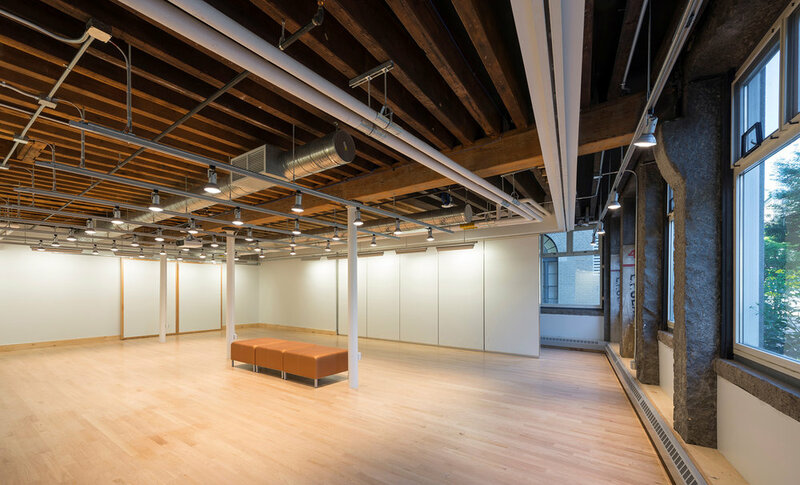 The following two phases addressed the existing 19th century building in a full renovation, including entirely new HVAC systems and lighting throughout the building. 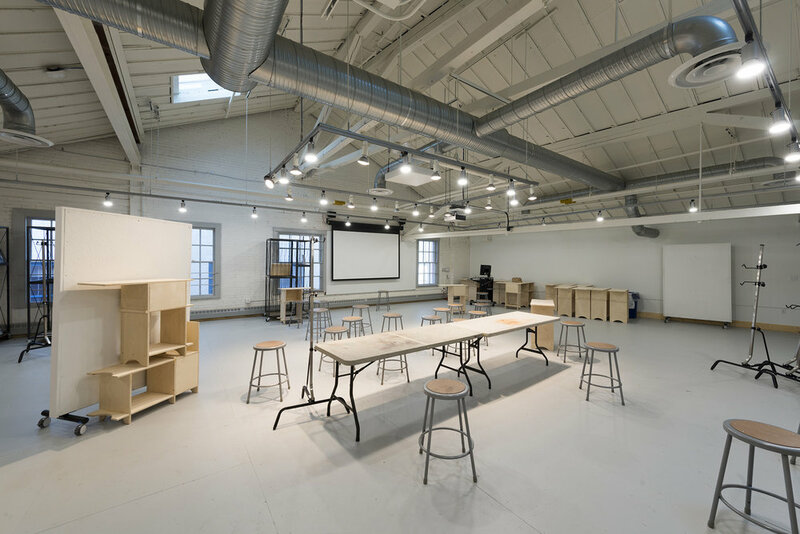 The plan was reconfigured to create larger studio spaces and classrooms, new administration offices, and gallery spaces to showcase the students’ art. The vinyl tile and acoustic ceilings that had been installed in the 1960’s were removed to expose the original wood post and beam structure, and brick, wherever possible. With the addition and the re-configuration of the existing building, this historic building was converted into a fully accessible and functioning building for the school’s ever growing curriculum.